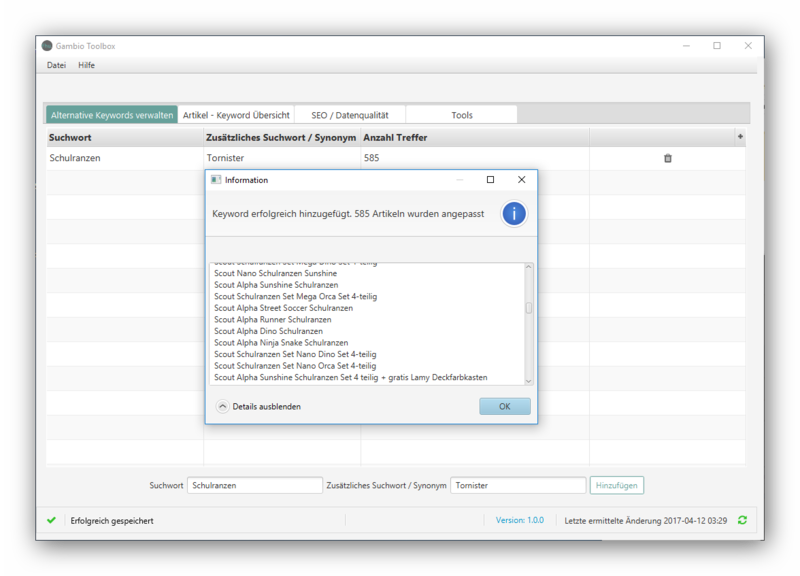 Perfect search results by individual enrichtment of keywords. With help of the intelligent search technologie the user will find exactly what he is looking for. The risk of a page leaf caused by empty results will be drastically reduced. Products which are found by a specific "Keyword", should also be found by an "additional keyword". Direct feedback from application, which and how many products are effected from keyword relation optimization. 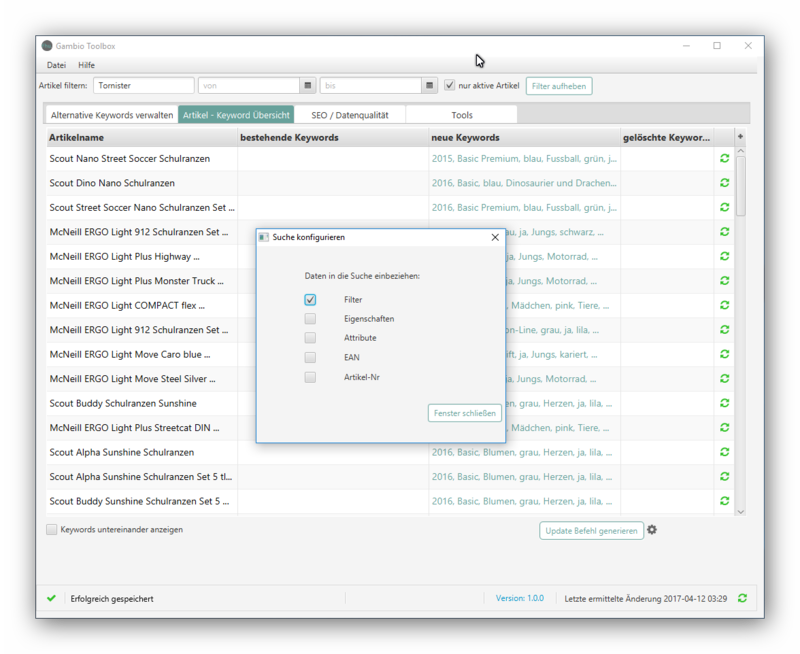 You can easily include values like product features, attributes, properties, EAN and product number as search keywords. Individual and transparent search optimizations. Nobody knows your product range as better than you. With the FHU FINDER the search optimization is in your hand. 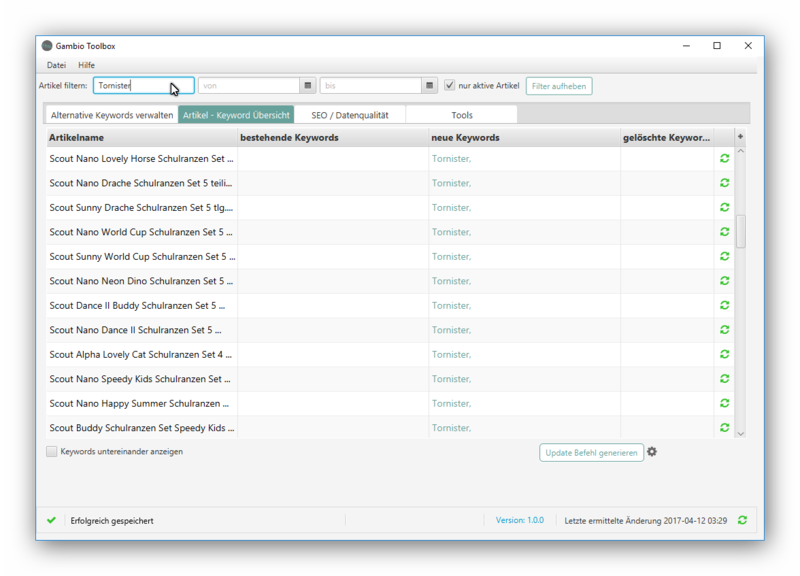 Keywords can be added or removed easy and flexible. Usage of shop-internal search algorithm. No external service calls needed! Through the individual enrichment of keywords the search optimization will be done in a breath. If you have any question or problems please Contact us.